He is such a friendly puppy. 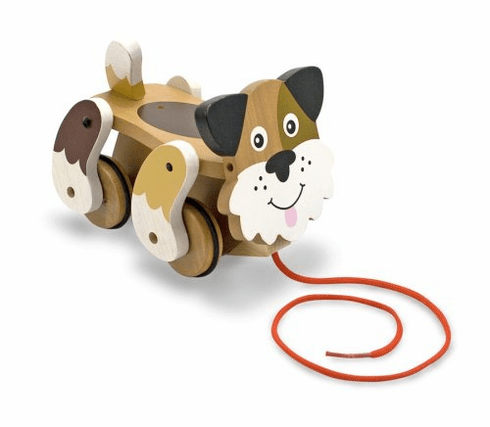 Just pull the string and this pup will follow along while wagging its tail. With its perpetual smile and wobbly gait, here is the perfect companion to be pulled along with an early walker. It is brightly painted with non toxic paint. It is made up of exceptional quality and value.